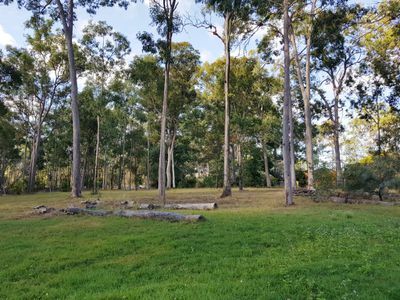 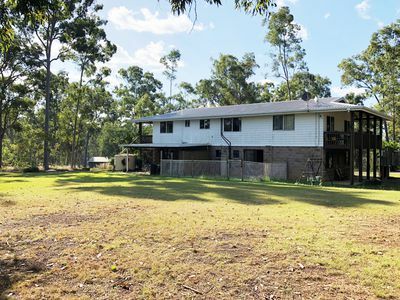 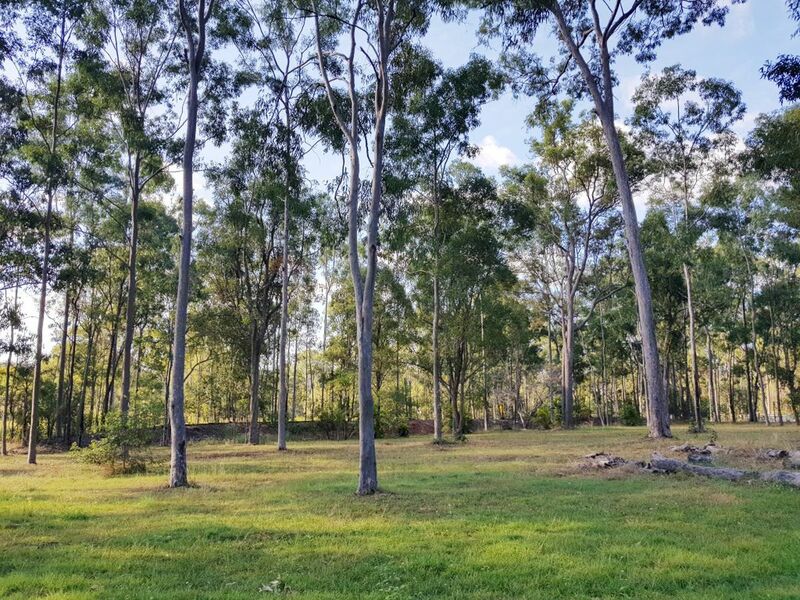 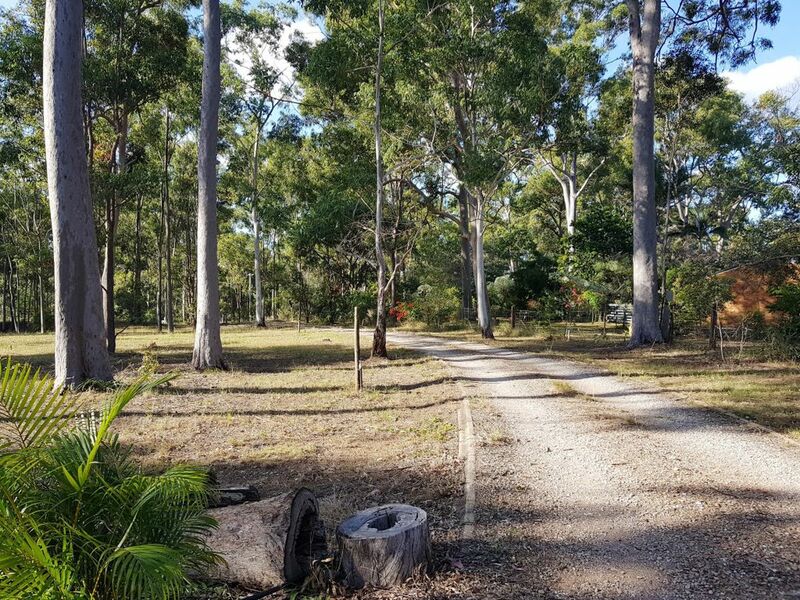 Come show your interest and see how this acreage property with large home can best suit your family needs whilst saving you money. 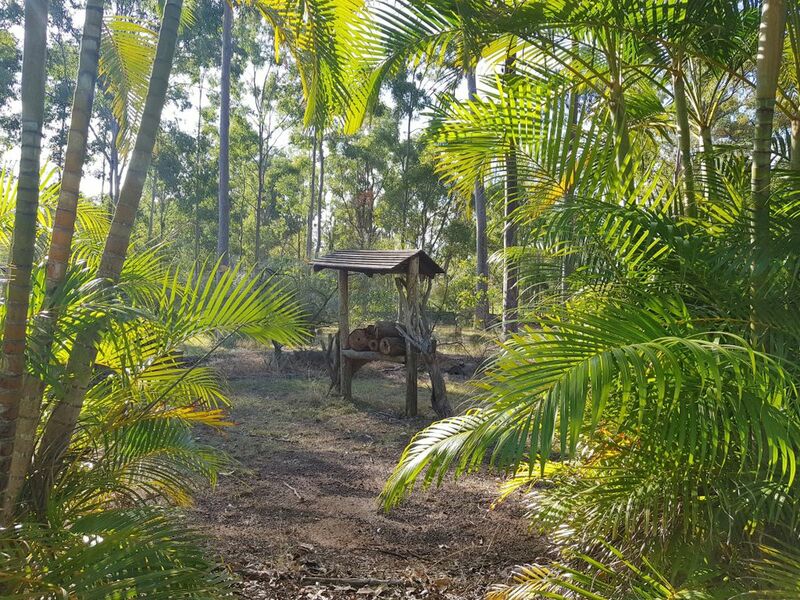 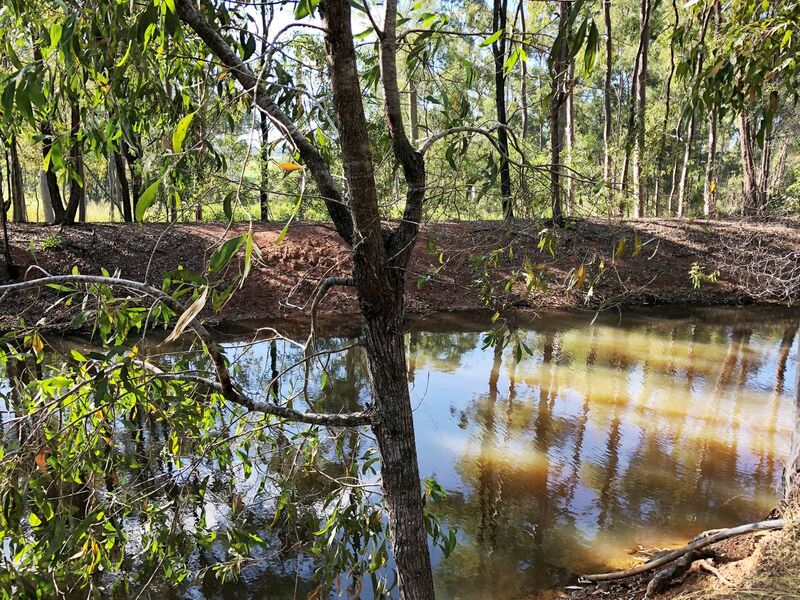 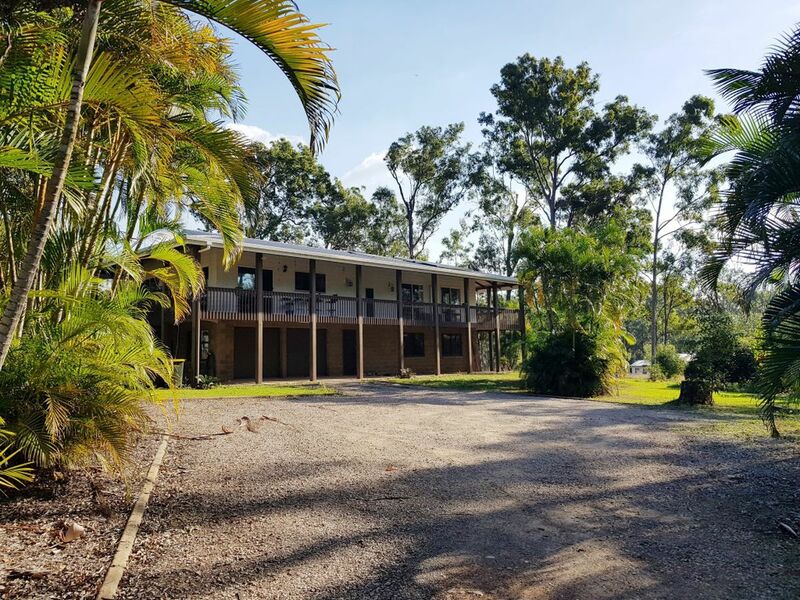 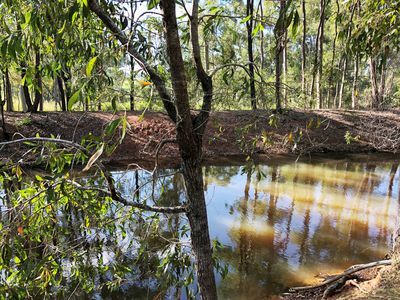 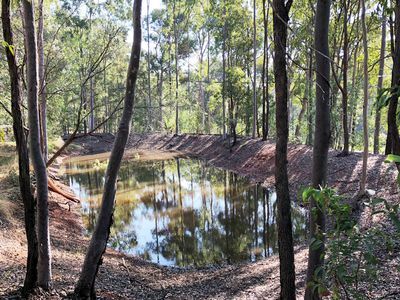 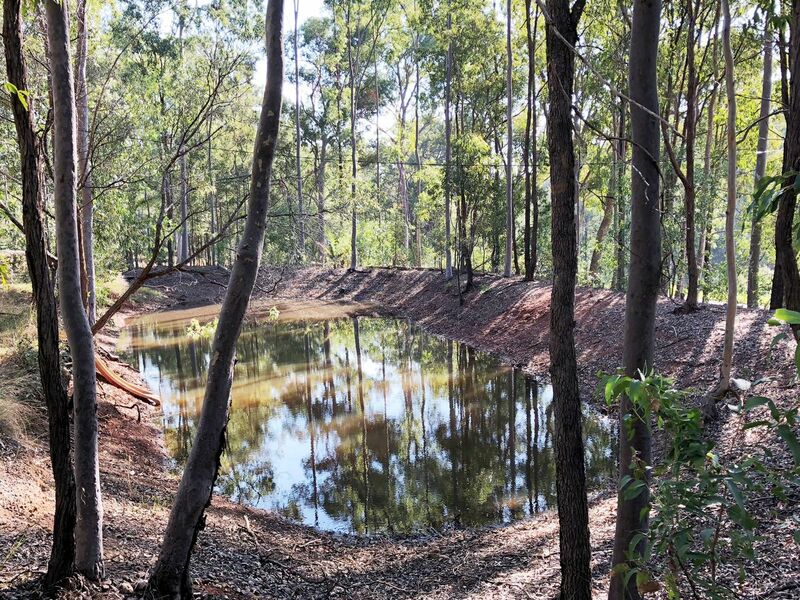 Situated on the edge of Tinana and only 5 mins to town this 2.5 acre property features solar power, lower council rates, septic system, water tanks and a dam. Plenty of space to grow your own veges with fruit trees already established and chook pen in place for some nice farm fresh eggs. With so much possibility for a large family boasting upstairs and downstairs living with expansive rumpus room and 2nd bathroom in place downstairs, making this the perfect space for a parents retreat or granny flat. 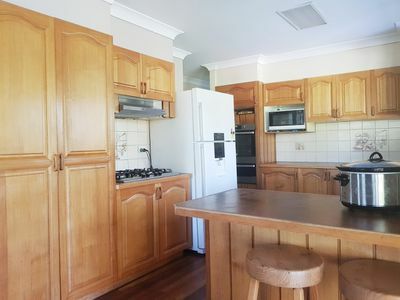 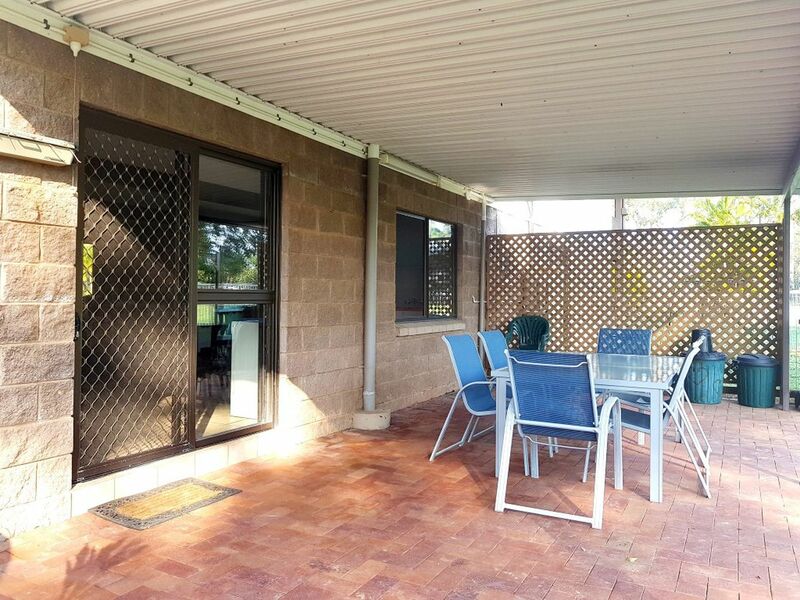 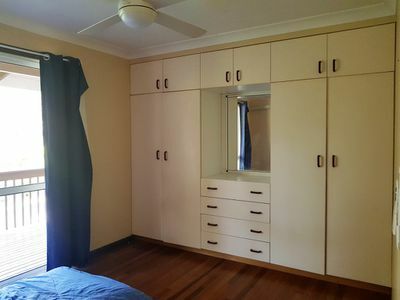 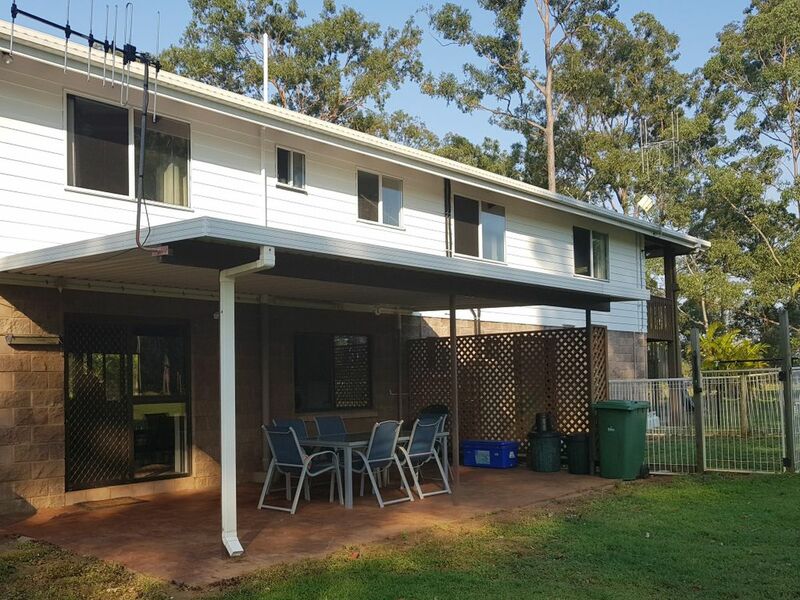 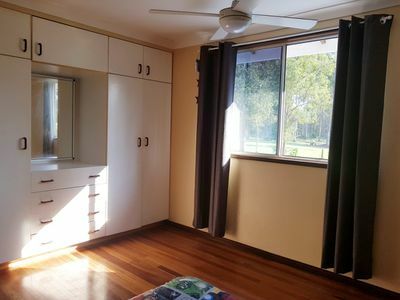 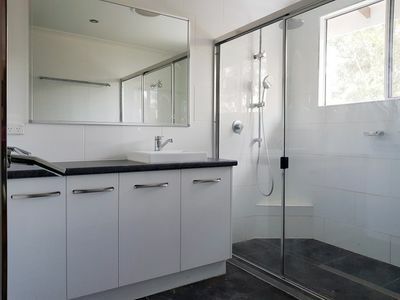 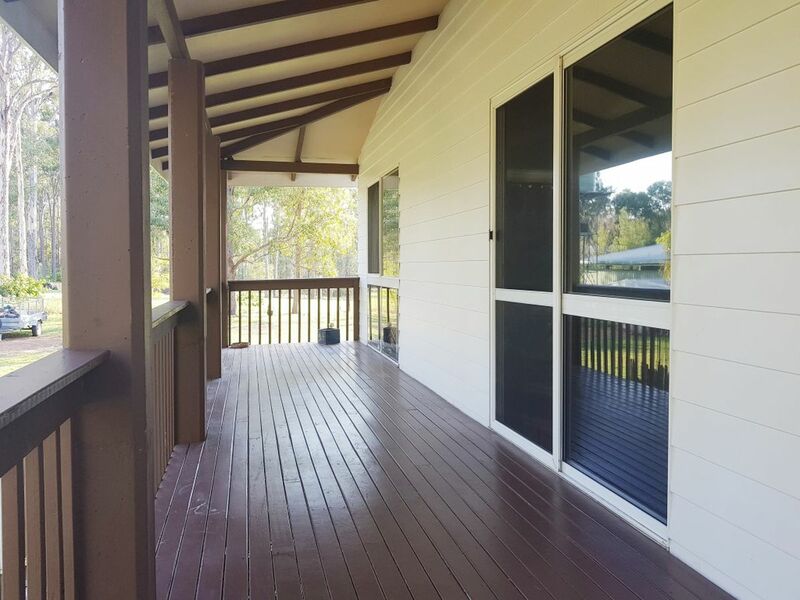 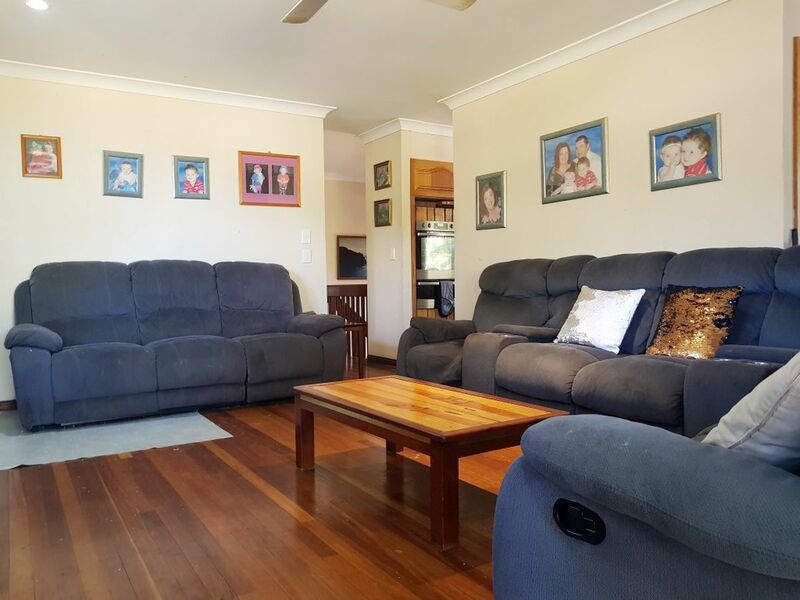 Upstairs provides the main living spaces with solid timber kitchen boasting all new appliances plus separate meals area and large lounge room with access to the verandah. 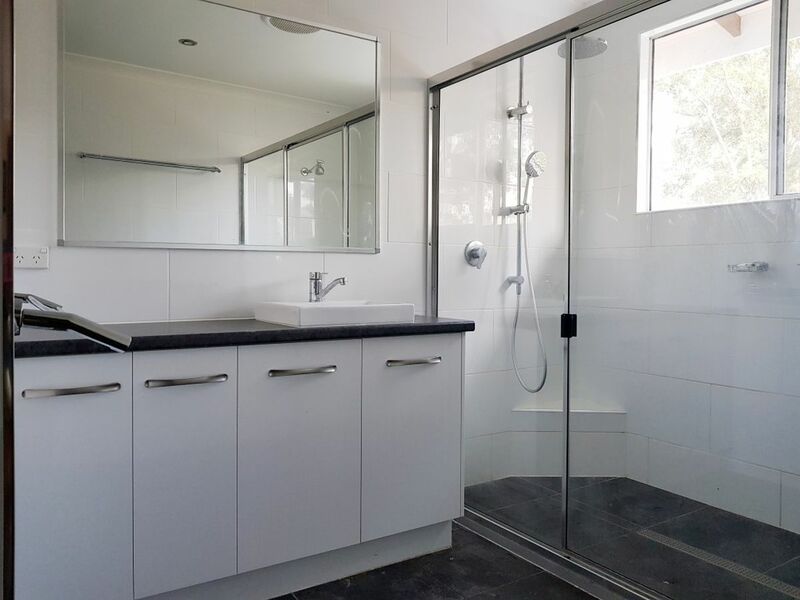 The 4 bedrooms all have built-ins and are serviced by the newly renovated bathroom with double shower, large vanity and separate toilet. 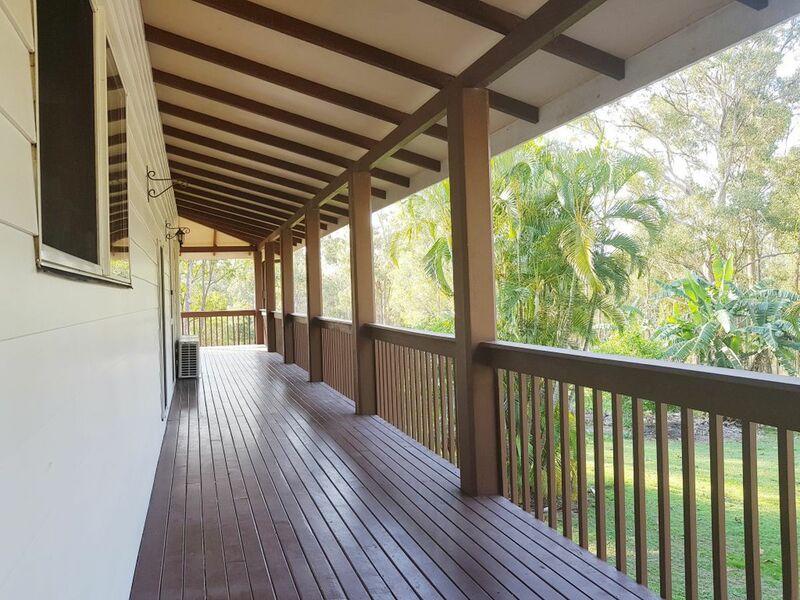 The wide verandah wraps around 3 sides of the house, capturing the breezes and overlooks the property and dam which is situated at the front of the property and can easily be fenced off. 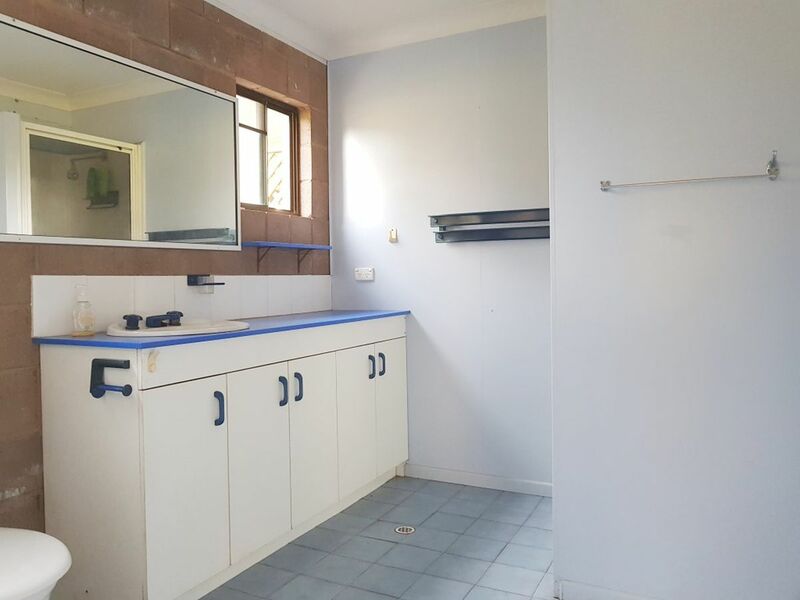 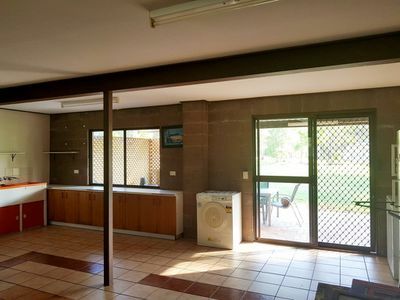 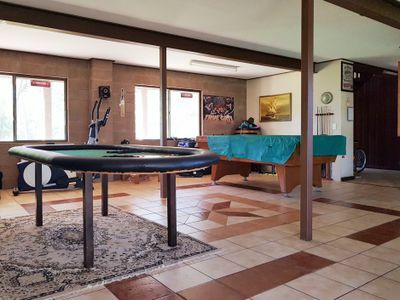 The house is well set back from the road with the driveway opening up once you get to the double lockup garage doors providing internal access to the house and plenty of room for extra carport out the front. 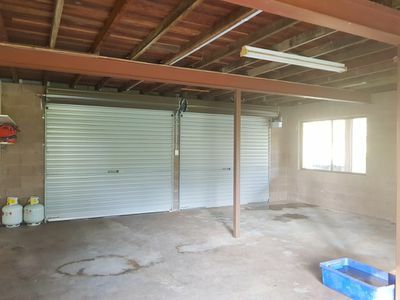 The large open machinery shed has power with 15amp plug available sits at the rear of the property with more than enough room to house all your vehicles.